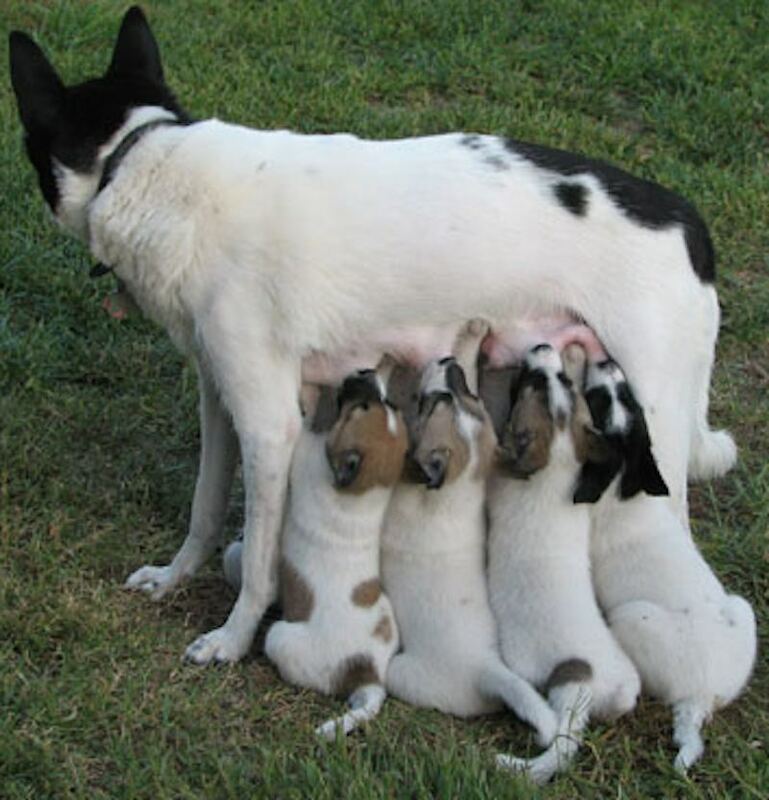 Canaan Dog is a medium sized dog breed. This natural breed of Israel dates back to pre-Biblical times and was the guard and herding dog of the ancient Israelites. As the Hebrew population was dispersed, many Canaans took up residence in the Negev Desert and remained mostly undomesticated except for some that attached themselves to the Bedouin and earned their keep as herders. A program recruited many of these pariah dogs and trained them for war use as sentries, messengers, Red Cross helpers and mine detectors. After World War II ended, the breeding program concentrated on developing the Canaan as guide dogs for the blind, the only program of its kind in the Middle East. 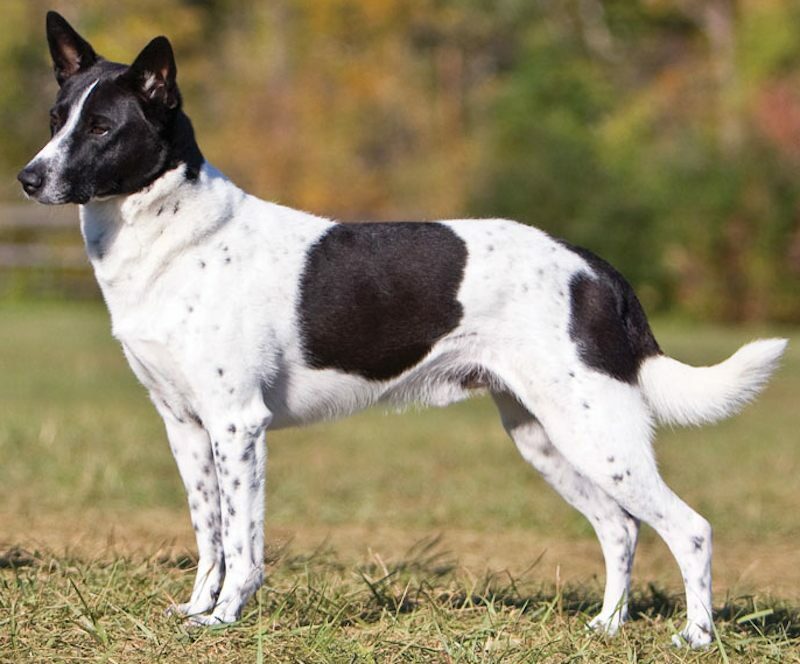 General Appearance: The Canaan Dog is a medium sized, well balanced, strong and square dog resembling the wild dog type. Strong distinction between the sexes. Head: Well proportioned, blunt wedge shape of medium length, appearing broader due to low set ears. Skull somewhat flattened. Some width allowed in powerful male heads. Stop shallow but defined. Muzzle sturdy, of moderate length and breadth. Jaws should be strong. Lips tight. Nose black. Ears erect, relatively short and broad, slightly rounded at the tip and set low. Eyes dark brown, slightly slanted, almond shaped. Dark rims essential. Mouth full dentition with scissors or level bite. Coat: Outer coat dense, harsh and straight, of short to medium length. Undercoat close and profuse. Colour: Sand to red-brown, white, black, or spotted with or without mask. If masked, mask must be symmetrical. Black mask permitted on all colours. White markings are permitted on all colours; Boston Terrier type patterns are common. Grey, brindle, black-and-tan, or tricolour are unacceptable. 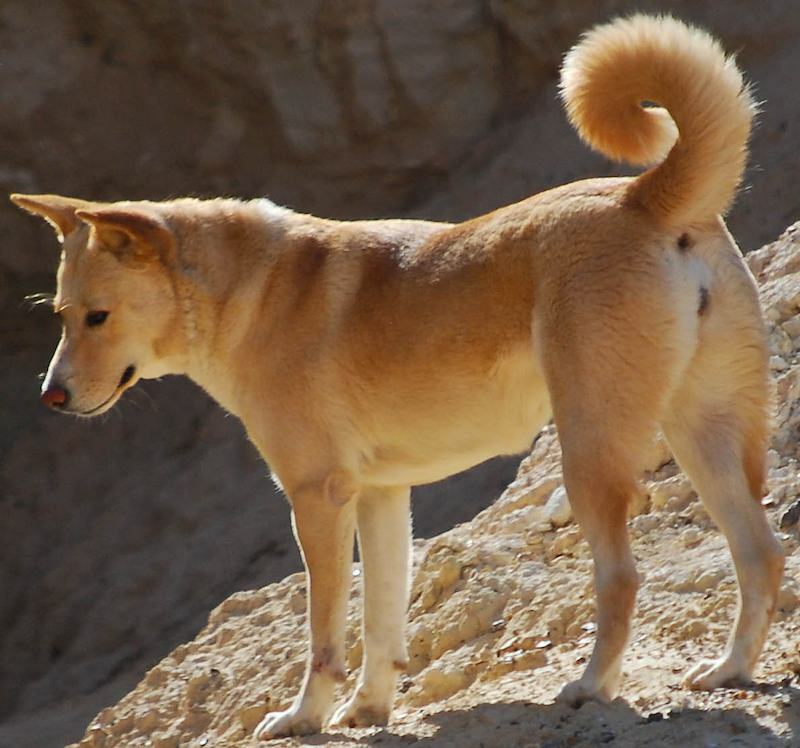 Desert colours and gold, red, cream are most typical of the breed. Weight and Size: Height 50-60 cm, males may be considerably larger than females. Weight 40-55 lbs. 18-25 kg. 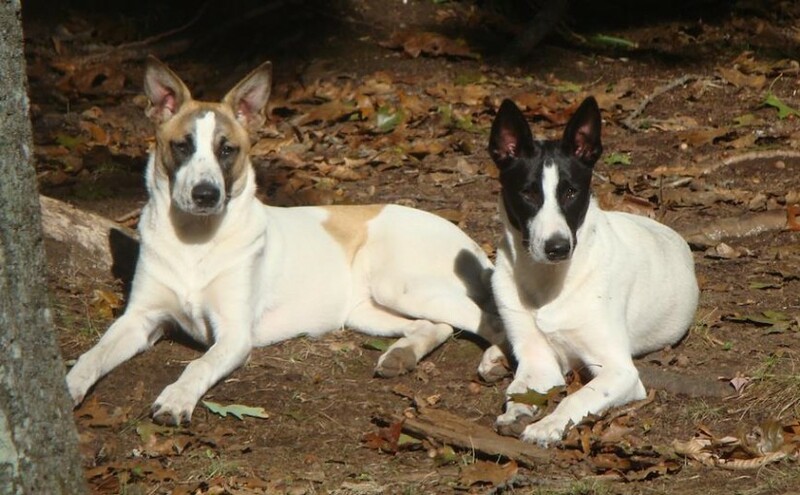 Faults: All deviations from the standard of the Canaan Dog breed. All faults in body structure which constitute a deviation from the norm of a well built dog; anything that would detract from his potential for survival as a desert animal.